New York Soda Ban: Where Do You Stand? This week, The New York City Health Board stirred up some major controversy by passing a measure that bans the sale of large sugary drinks within New York City. 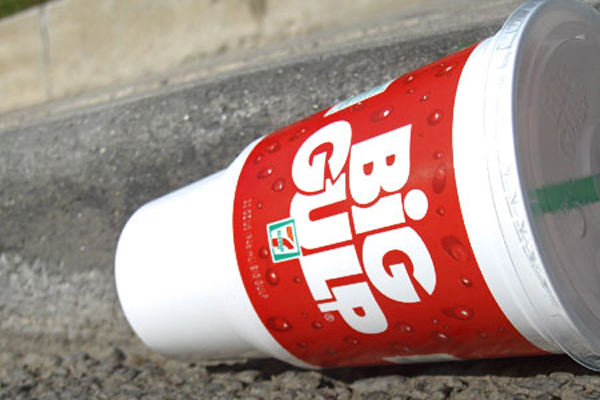 Here’s the deal with the ban; in New York it’s now illegal to sell a sugary beverage larger than 16 oz at movie theatres, fast food restaurants, convenience stores, food carts, sporting events, or similar venues. The ban doesn’t apply to sales at grocery stores, diet sodas, drinks that are dairy based (like a milkshake), or any drink that has more than 70% fruit juice. 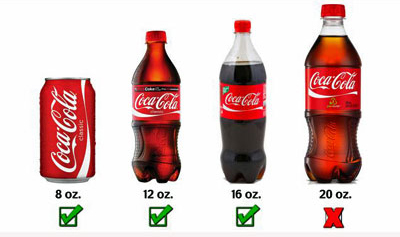 And, if you’re really determined to drink your massive soda, you can still buy multiple 16 oz drinks at one time. Click here to check out one of the many articles about the ban. So why is New York picking on giant sodas? As many of us already know, constantly drinking sugary drinks has some pretty big health risks, and their consumption has sky-rocketed over the past few decades. But the city didn’t try to ban other known health bombs like alcohol, smoking, or super sized fast food meals, they just went after soda (and all of soda’s close cousins). How will selling smaller cups of soda improve the overall health of New York? So what do you think? Do you think the New York City Health Board is violating the rights of New Yorkers by not allowing them to choose the size of their favorite sugary beverage? Or do you commend them for taking this step to attack weight gain in New York? It’s a unique case, and if it’s affective in New York, other cities might follow. We’d love to know what you think about it. What’s the deal with those “This is Not a Bill” statements? What Should I Feed My Young Athlete? I do agree that there are foods and practices that are not healthy for anyone. However, why does the government need to start enacting laws re: choices and free will? Laws for governing the use of seatbelts and car seats and cigarette smoke (pollution) is one thing (other lives are directly affected)….but to have a law regulating how much soda, a person can consume in a public place…. Really?? Smoking is outlawed in a lot of public areas because the smoke from the cigarette affects more than the smoker. Are we going to ban the double and triple bacon cheeseburgers, next? If you think about it, just about anything a person OVER consumes or OVER does is bad for them. Is the answer to legislate against all of those things? Where is our free will and choice? How about earlier education re: the benefits of less sugar in our diets? Why not teach more of this in school? Prohibition against alcohol didn’t work…..maybe because the government found a way to make lot of money collecting tax for that product. I’d rather see a ban on wearing earphones while driving a motor vehicle or riding a bicycle. At least THAT ban directly affects more than the person wearing the earphones, as well as in the case of the seatbelts, car seats and cigarette smoke. Disease and death are sometimes a direct result or consequence of how people manage their lives and the choices that they make. Eventually the choices we make affect the whole, but I am not sure that legislation is the always the answer. Maybe legislation a way to stay removed from the ‘real’ issues and not deal with them. Sometimes we just need to mind our own business. That goes for the government, as well. I agree with and applaud the new city law. You’d be hard-pressed to find anyone who would say that drinking soda is good for you. I understand that it appears like a violation of freedom. I don’t understand why we have moved away from wanting what is best for our well-being and now seek absolute freedom even if it leads to our own detriment. Some would say we should be able to do whatever we want as long as it doesn’t harm others. I disagree. I believe we should have laws that protect an individual from causing harm to themselves, whether willingly or not. Billions of dollars are spent to persuade us to consume products that are not always beneficial. It is a good thing when something is done to combat this. Also, as stated in another reply, obesity does affect others. Healthcare costs rise when more treatment is required. The burden of these costs fall on everyone. This reminds me of a job I had 40 years ago at a restaurant. The manager was trying to cut costs. We were allowed to drink as much (soda) pop as we wanted, just had to use small glasses instead of large. We drank less. As far as govt regulation, I am still undecided. Wondering if the folks who are against the law the most are the ones who most regularly buy these oversized beverages? A few months ago I’ve drastically cut back on sugary drinks…and haven’t bought them at convenience stores or restaurants in years….. So, since I’m not affected, this law does not bother me much…rightly or wrongly. I’m a heavy (diet) soda drinker, and I would not have believed that cup/glass size would make any difference in how much soda I drank. Until it actually happened! If I am at a place where I can refill my soda, I usually hit the fountain at least twice. But the other day I was just given one bottled soda with my meal. My first thought was, “That is going to be a problem!” But to my complete surprise, it was just fine and I didn’t even want any more soda after I was done with it. Thank you LS, looks like we had a little glitch with our poll creator. It should be a little easier to read now. We appreciate you calling it out.